Do you have photos, historical accounts or other items pertaining to the Breezy Point area? Would you like to share this historical information with the world? LakesnWoods.com would like to publish your Breezy Point photos (current or historical) or historical accounts on this website. Original materials can be returned and your privacy will be respected. The City of Breezy Point is located in the north central portion of Crow Wing County on the western shore of Pelican Lake and southerly of Lake Ossawinnamakee. Historically a popular recreation destination, Breezy Point has evolved to a residential community as well. Over 2,340 people call Breezy Point home year round with the seasonal population swelling upwards of 5,000 in the summer months. 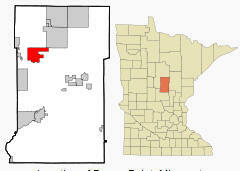 Breezy Point is a city in Crow Wing County, Minnesota. According to the United States Census Bureau, the city has a total area of 16.56 square miles (42.89 km²), of which, 13.20 square miles (34.19 km²) of it is land and 3.36 square miles (8.70 km²) of it is water. The elevation is 1,230 ft (375 m) above sea level. As of the census of 2010, there were 2,346 people, 904 households, and 681 families residing in the city. The population density was 177.7 inhabitants per square mile (68.6/km2). There were 1,797 housing units at an average density of 136.1 per square mile (52.5/km2). The racial makeup of the city was 98.7% White, 0.3% African American, 0.3% Native American, 0.2% Asian, 0.1% from other races, and 0.6% from two or more races. Hispanic or Latino of any race were 0.3% of the population. There were 904 households of which 37.2% had children under the age of 18 living with them, 65.5% were married couples living together, 6.2% had a female householder with no husband present, 3.7% had a male householder with no wife present, and 24.7% were non-families. 19.9% of all households were made up of individuals and 5.7% had someone living alone who was 65 years of age or older. The average household size was 2.60 and the average family size was 2.97. The median age in the city was 38.4 years. 27.9% of residents were under the age of 18; 4.2% were between the ages of 18 and 24; 28.4% were from 25 to 44; 26.1% were from 45 to 64; and 13.5% were 65 years of age or older. The gender makeup of the city was 50.7% male and 49.3% female. 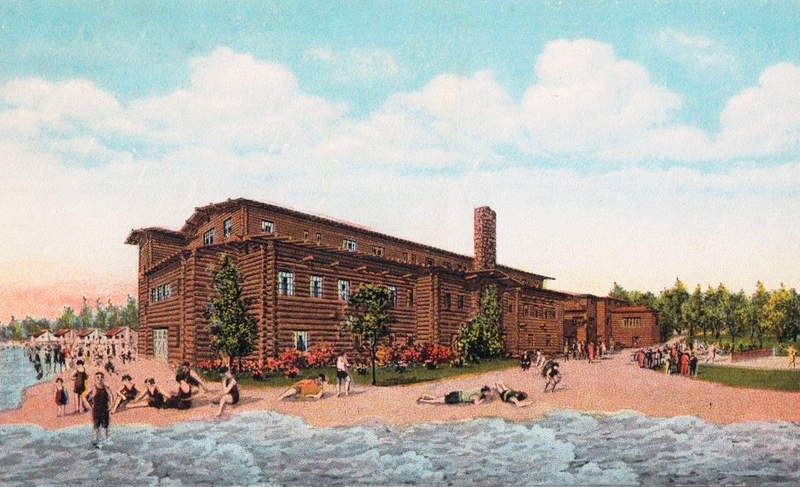 In the roaring 20’s Breezy Point became popular when Captain Billy Fawcett started Breezy Point Resort. The resort was a destination for many including Clark Gable and Carole Lombard. As the resort grew, the surrounding area grew as well and incorporated as the Village of Pelican Lakes in 1939 covering over fifteen square miles. The name change to City of Breezy Point is owed to a misplaced order of furniture. Because of the confusion of having a town named Pelican Lakes on Pelican Lake next to Pelican Township, a load of furniture ordered by Breezy Point Resort was mistakenly shipped to Pelican Rapids, which is over 100 miles west of Pelican Lake! The owners of the resort, concerned about this blatant lack of identity for their resort, and for the city, petitioned the city government for a name change. The town officials received a petition with 54 names at the October, 1969 meeting, and the new Ordinance #16 was adopted unanimously at the December, 1969 meeting. On January 5, 1970 council minutes reflect the name change from Village of Pelican Lakes to Village of Breezy Point. 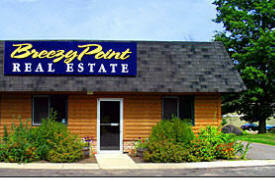 New signs were put up announcing Breezy Point and new stationery was ordered. Then per Mn. Statutes 413.02 Villages became Cities January 1, 1974. Thus the City of Breezy Point, Minnesota was created! BREEZY POINT, a city in Pelican Township, also known as Pelican Lakes, incorporated in 1939. It had a railroad station and postal services, 1928-65, sometimes as rural routes. The city is known for its many resorts. Explore beautiful Pelican Lake aboard the Breezy Belle, a unique Paddle-Wheel Excursion Boat mastered by Captain Nick Buffetta. The Breezy Belle is a great choice for any group, or a way for you and some friends to go on a dinner cruise or lunch cruise and unwind. The Breezy Belle is available 7 days a week May through mid October and can accommodate up to 100 passengers. The Belle features an enclosed main deck, open upper deck, banquet tables and chairs, head (restroom), handicapped accessible (main deck), US Coast Guard Inspected, and a Licensed Captain. Excellent for a Family Reunion, Wedding, Wedding Reception, Grooms Dinner, Rehearsal Dinner, Birthday Party, Anniversary Party, Employee Party, Club Meeting, Fundraiser, Company Picnic, Bus Tours and more! 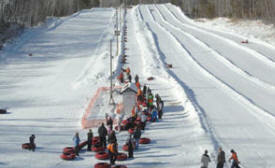 It’s winter in Minnesota, the snowflakes are falling and tubing season has arrived; it’s the perfect time to head to PrimeTime Snow Tubing. Even when Mother Nature decides to hold back, our slopes are still alive with speeding tubers and laughs. That’s right, we have snow makers to guarantee that this winter-sport will happen. A fast paced, exciting ride down and a relaxing tow rope ride back up. Ride the slopes on your own personal, specially designed snow tube; no lessons required, no experience needed – it’s a winter-sport perfect for the entire family. Proclaimed as one of Arnold Palmer's best designs, Deacon's Lodge provides world-class golf amidst the splendor of its "north-country" surroundings. Voted one of America's "Top 100 Courses", Deacon's Lodge features a championship layout that harmoniously flows through 500 acres of Minnesota lakes, wetlands, and mixed forest. 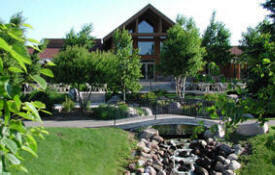 Our Minnesota resort has attracted guests to this area for over 80 years. As you drive through the Breezy Point Minnesota resort gates and follow the tree-lined road, it is evident what has attracted these guests. Come stay in our first-rate lodging, enjoy our superior Minnesota conference center, great food, top-notch service and superb Brainerd golf course, and you'll have the best of the Brainerd Lakes vacation area, right here at Breezy Point Resort, Minnesota. Located on Pelican Lake near Brainerd Minnesota we offer families one of the most beautiful vacation experiences or golf vacations available in the northwoods of Minnesota. Breezy Point Resort lodging accommodations include the Breezy Inn & Suites, studio, 1 and 2 bedroom condos, vacation homes with 2 & 3 bedrooms, and unique retreats with 4 to 10 bedrooms. Family lodging & golf packages from two to seven nights. Breezy Point Resort was named Property of the Year in 2004 by MN Innkeepers and a Top 10 Girlfriend Getaway destination resort by Child Magazine. 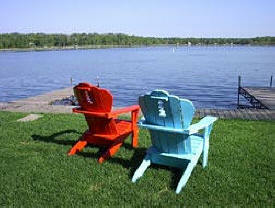 Leisure Suites of Breezy Point, is located in the city of Breezy Point on beautiful Pelican Lake. There is a reason to visit them for every season! Summer is a wonderful time of year to enjoy the lake, outdoor recreation, and all the area events and entertainment. Fall and Spring offer a quiet, peaceful escape with plenty of activity to keep you busy if you choose. Whitebirch RV and Camping Resort located at Breezy Point, Minnsota in the Brainerd Lakes Area, specializes in various vacation ownership options. 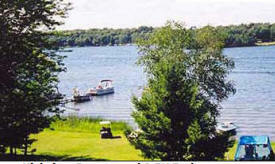 We are located on beautiful Lake Ossawinnamakee, 23 miles north of Brainerd, Minnesota, in Breezy Point. 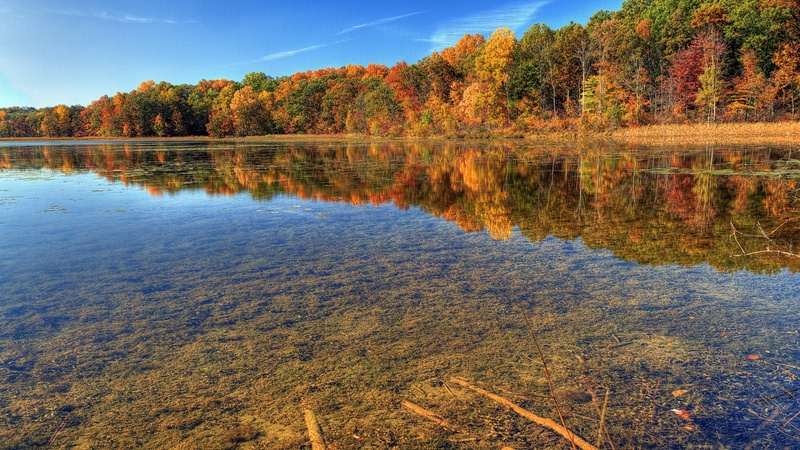 Lake Ossawinnamakee is a recreational lake with great fishing. We now have lakeside seasonal sites. Sorry, no dogs allowed on the lower level. Our RV Park has spacious, level, grassy sites which are surrounded by mature trees. Our lake is a great place for a family vacation as we have a lot to offer — there is something for everyone! Located in the spectacular Whitebirch Club House. Antlers overlooks Antlers Gardens and the golf course. We are open 7 days from 11:30 am to 10:00 pm for lunch and dinner serving premium steaks, seafood, chicken, pasta, and salads. Explore beautiful Pelican Lake aboard the Breezy Belle, a unique Paddle-Wheel Excursion Boat mastered by Captain Nick Buffetta. The Breezy Belle is a great choice for any group, or a way for you and some friends to go on a dinner cruise or lunch cruise and unwind. 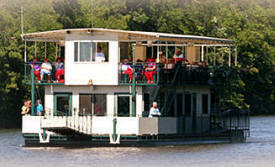 The Breezy Belle is available 7 days a week May through mid October and can accommodate up to 100 passengers. The Belle features an enclosed main deck, open upper deck, banquet tables and chairs, head (restroom), handicapped accessible (main deck), US Coast Guard Inspected, and a Licensed Captain. 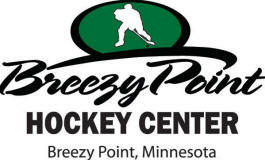 The Breezy Point Hockey Center located in Breezy Point Minnesota is the home of the Breezy Point Ice Fest Hockey Tournaments and the Breezy Point Summer Hockey Camps. 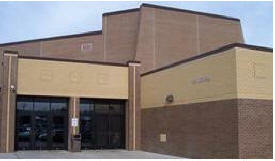 The Breezy Point Hockey Center features an indoor refrigerated ice rink, an Acceleration Training Center featuring Acceleration Minnesota's patented skating and running treadmills, an outdoor ice rink, an onsite pro shop, and an onsite dormitory facility that sleeps up to 120 youth players or 60 adults with a commercially licensed kitchen and dining room. The Breezy Point Hockey Center is owned and operated by the world famous Breezy Point Resort located just 1 mile away on the shores of Pelican Lake. Breezy Point Real Estate, Inc. is an extension of the land and development sales company that has been key to this area's growth and prosperity. All you need to do is say the Brainerd Lakes Area and everyone in Minnesota thinks of Breezy Point Resort, Pelican Lake and Paul Bunyan! 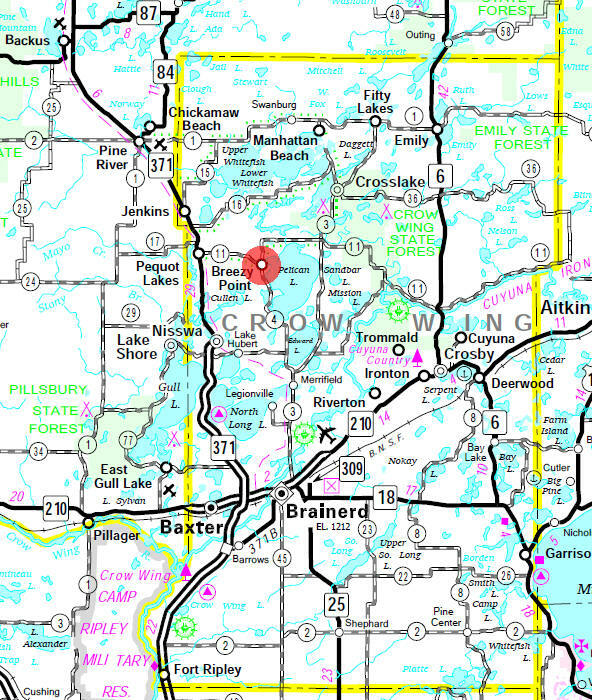 Thousands of travelers have dreamed of someday living in northeastern Crow Wing County - the center of the lakes area. Breezy Point Real Estate is here to assist you in making those daydreams a reality. If your needs are retirement on a lake or one of the fabulous golf courses, relocation for business or a vacation property, we can be of assistance. Breezy Point Resort lodging accommodations include the Breezy Inn & Suites, studio, 1 and 2 bedroom condos, vacation homes with 2 & 3 bedrooms, and unique retreats with 4 to 10 bedrooms. 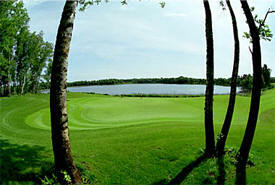 Family lodging & golf packages from two to seven nights. Breezy Point Resort was named Property of the Year in 2004 by MN Innkeepers and a Top 10 Girlfriend Getaway destination resort by Child Magazine. Your place to find custom engraved goods. 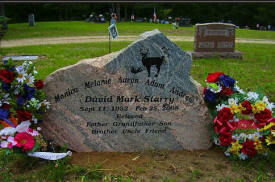 We offer several different types of engraved rocks to fit your every need. Since 2007, Brent Rocks has developed a well-earned reputation for offering a wide variety of engraved rocks, all at affordable prices. From Pet Memorials, Memorial Stones, and Wedding Gifts to Landscape Rocks and Wholesale Rocks; you'll always find the selection and service you demand at a fair price. Our philosophy of delivering quality rock engraving at an affordable price inspires everything we do. Together with our customer-first service, it's easy to see why Brent Rocks has something for everyone - and always at the most affordable price. Discover Racks is known for the highest service level maintaining brochures in top quality racks in the hottest locations. We are the #1 brochure distribution company in Minnesota's Lakes Area. Each Discover Rack is an image of reliability and value; a resource of advertising and information to everyone visiting or living in central Minnesota. Your local 24 hour heating and air service and new installation. Natural gas, propane, oil and boiler systems. Dine in the classic, rustic atmosphere of the log clubhouse overlooking Deacon's Lodge Golf Course, located just outside Breezy Point. Palmer's Grille is the perfect destination to enjoy burgers, sandwiches, fresh salads and soups. Everything for the vacationer. Convenience store with bait, tackle, propane refills, fishing licenses, and gifts. Restaurant known for superb breakfasts, homemade soups and desserts, burgers, and specialty sandwiches. Breakfast all day. Kids menu. Sunday breakfast buffet, 15 flavors of malts. Pine River State Bank your community banking partner since 1918 with branches in Pillager, Emily, Breezy Point, and Nowthen. Originally a Ski Chalet dating back to the early 1960’s, today we offer an assortment of activities, entertainment and food for all ages. From the fun-packed, snow related activities of PrimeTime Snow Tubing to the relaxed and entertainment filled events held at PrimeTime Food & Spirits, there’s something for everyone. Bring the kids for an afternoon of snow tubing adventures and stay to play in the Outback Chalet, listen to the live band, enjoy a delicious meal or just sit and relax by the fireplace. PrimeTime Food & Spirits has that Northwood’s / log chalet atmosphere, making it your perfect place to get away for the day. 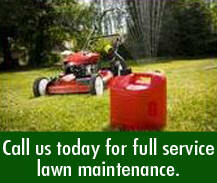 SunnySide Services offers quality lawn maintenance service to the Breezy Point, MN area. You can depend on our experienced landscapers to cover all your lawn care needs. No job is too big or too small for us. We are bonded and insured for your protection.